NIxOs is an advanced Linux distribution based on the Nix package manager. With atomic updates and roll-backs, declarative configuration, inexpensive environments and integrated devOps tools, NixOs packages a radically innovative approach to system management. The London NixOs user group welcomes users and newcomers to learn and share experiences about NixOs. Sorry, looks like London NixOs User Group haven't got any events scheduled for the moment! If you look at the venn diagram between Nix and Haskell users, the overlay is quite large. But building Haskell projects with Nix is not solved yet as there are a lot of dimensions to the problem. To celebrate the upcoming 18.03 release we would like to invite you to our install party! After two months of silence we are getting back on track! This time we have Rok Garbas joining us. The meetup will start with a short community announcements section, followed by the talk and a hacking session. Interested in the real world applications of Nix stack? 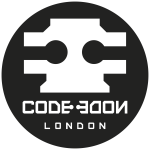 Don't miss out this month's London NixOS User Group meetup where they'll be talking about Nix stack and server deployments!